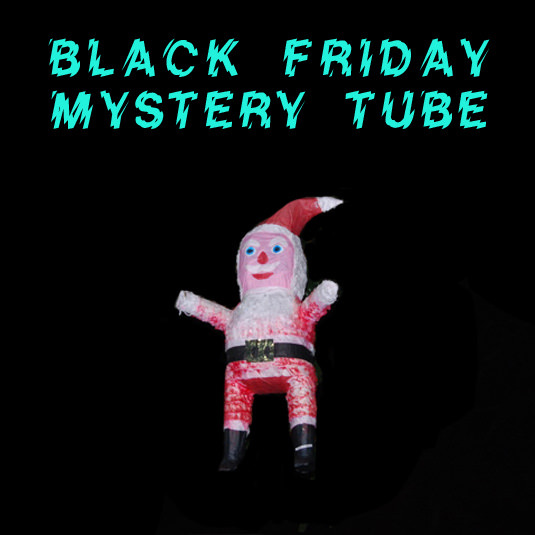 Ryan Duggan is hosting another pretty astounding mystery tube sale. He’s offering 10 tubes, each contains 1 artist proof from the sold-out Poster of the Week series, 1 artist proof from the sold-out Treasury of Shitting Dogs series, 1 test print (16″ x 20″ or 18″ x 24″), and 1 Random art print. Each tube is $100. These will be available the morning of Friday, November 24th. Visit DrugFactoryPress.com.